The past year has been tumultuous for HP, as new-ish CEO Meg Whitman tries to refocus the company. Hewlett-Packard's earnings and sales slipped last quarter as the company struggled to meet Wall Street's expectations. 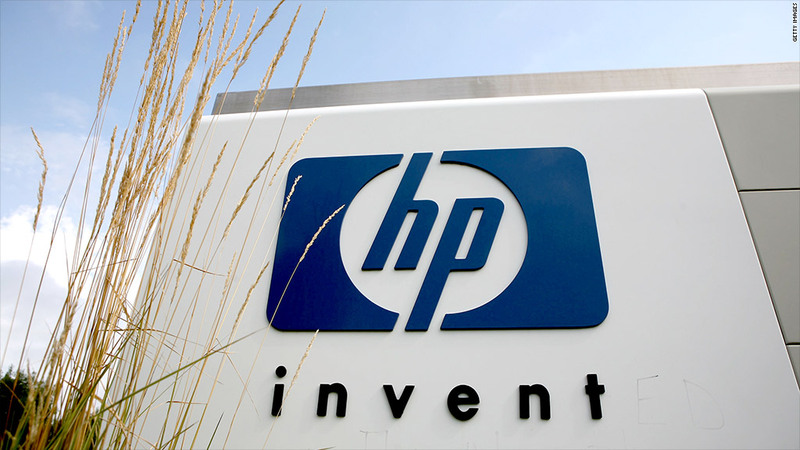 HP earned $2 billion, or $1 per share, in the fiscal third quarter that ended in July. That was a 9% decline from the same period a year ago. Sales fell 5% over the year to $29.7 billion. Analysts polled by Thomson Reuters expected the company to earn 98 cents per share on sales of $30.1 billion. The mixed results sent HP's stock on a bit of a roller-coaster ride. Shares of HP (HPQ) initially jumped 4% in after-hours trading, quickly reversed to fall 1%, and were up 1.4% at around 4:30 p.m. ET. The Palo Alto, Calif., company, which is the world's No. 1 PC maker, also cut its earnings outlook for the full fiscal year to a range of $4.05 to $4.07 per share. The past year has been tumultuous for HP. New-ish CEO Meg Whitman is trying to refocus the company after taking the helm from Leo Apotheker -- who planned to exit the company's PC business, frequently cut financial estimates, and was subsequently fired. Related story: Can anyone save HP? Whitman addressed her uphill battle in prepared remarks: "HP is still in the early stages of a multi-year turnaround, and we're making decent progress despite the headwinds." Last quarter, the company announced a widely expected plan to cut 27,000 jobs as part of a major restructuring. Those layoffs are expected to save $3 billion to $3.5 billion by the end of 2014, money the company plans to spend on research and development. HP rival Dell (DELL) reported disappointing quarterly results on Tuesday. Dell beat earnings estimates, but investors sent shares more than 5% lower on light sales and a lowered outlook for the current quarter.